This report is written by Syrian civil society organisations and WILPF, with support from Kvinna till Kvinna, for the universal periodic review of the Syrian state. It highlights the Syrian government’s responsibility towards women in Syria, and reveals the violation committed against them by the state. 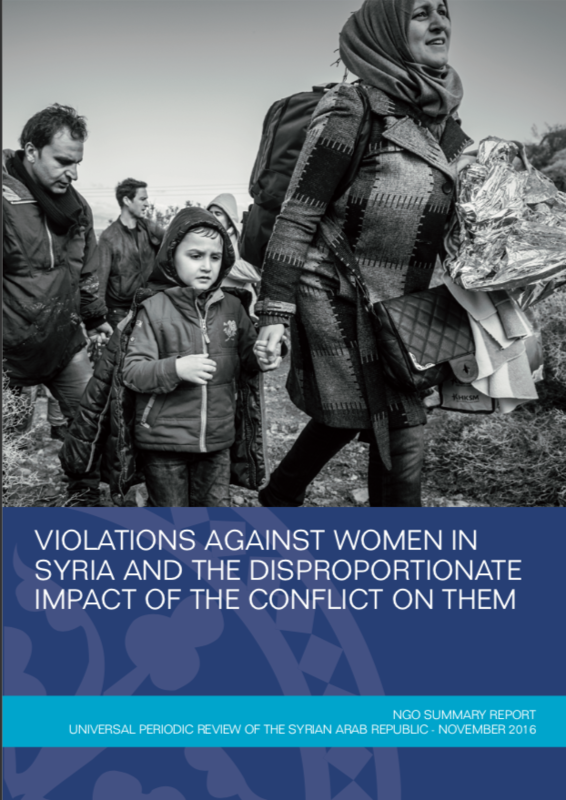 The report details how the Syrian conflict has disproportionately affected women.